As reported on the 10th of February 2014, Moscow and its occupation regime in Abkhazia have decided to simplify the visa requirements for foreigners wishing to enter the occupied region of Abkhazia from Russia during the Olympic Games in Sochi (as from the 10th of February). This decision is yet another provocative action against Georgia's sovereignty and territorial integrity, and aims to mislead foreign citizens. The Georgian Foreign Ministry once again calls upon the members of the national delegations and the citizens of foreign countries taking part in the Winter Olympics to refrain from entering into Georgia's occupied regions. 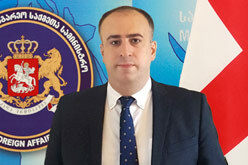 The Georgian Foreign Ministry also wishes to underline the fact that, according to the ‘Law of Georgia on the Occupied Territories', Abkhazia and the Tskhinvali region are under a special legal regime which restricts free movement in Georgia's occupied territories. b)	from the Gori municipality (to the Tskhinvali region, i.e. to the territory of the former South Ossetian Autonomous Region). Violating the ‘Law of Georgia on the Occupied Territories' is a criminal offence punishable by Georgia's penal code. In addition to the other preventive measures taken prior to the Olympic Games, the Georgian Foreign Ministry once again calls upon all countries taking part in the Sochi Olympics to warn their citizens to not enter Georgia's occupied regions in violation of the ‘Law of Georgia on the Occupied Territories'.